This is a revolutionary non-acidic flush that is added to the cooling system 20 minutes before reverse flushing that will assist in dissolving oil contamination, sludge and corrosion. 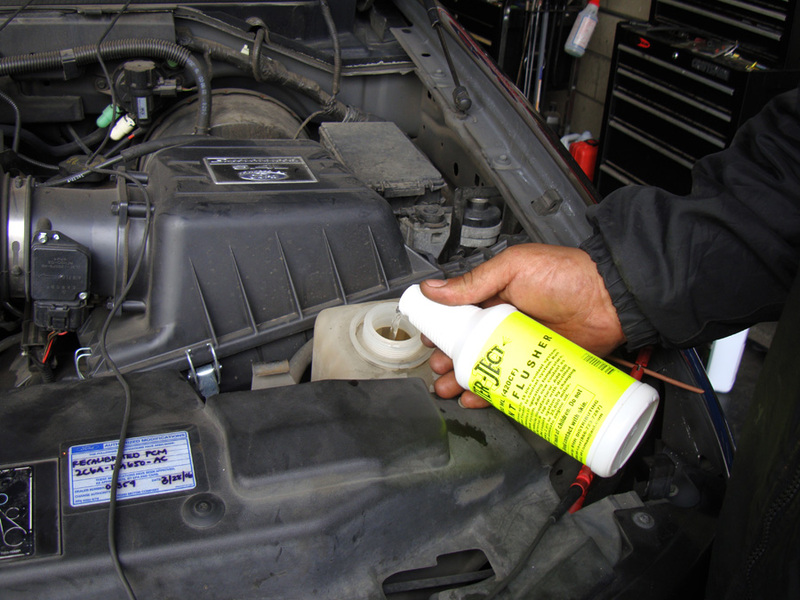 This helps to remove very small particles of metals, rust and aluminum oxide that flow through a cooling system that acts like liquid sandpaper that will erode internal components of a cooling system. Add an entire bottle to coolant system. Run engine for 15 to 20 minutes. Drain and reverse flush system. Fill with new antifreeze and distilled water. Then add entire bottle of Electrolysis Arrester.